You would think Thorgan Hazard of Chelsea would have a lot of pressure and expectation on his shoulder being the brother to one of the best footballers in the world Eden Hazard, but watching Thorgan in an interview despite some similarities in their playing style he sees himself as a very different player to his brother and wants to be seen as Thorgan Hazard not Eden Hazards little brother. The 21-year-old was born in Belgium and by the age of 5 was already playing for local club Royal Stade Brainos, He stayed with them until he was 10 years old, after he decided to join his older brother at Belgium second division club Dubize FC. 4 years later Eden was playing for French club Lille when Lille’s biggest rivals Lens signed up Thorgan aged just 14. The 5”8 Attacking Midfielder progressed very nicely and since managed to make every Belgium International side including 1 full international cap. Thorgan made his debut for the Lens first team when he was 18 years old and scored on his first pre season appearance against Belgium club KSV Roeslare. In total Thorgan stayed at Lens for 5 years making 14 first team appearances and scoring that one goal in a pre season friendly. In 2012, London club Chelsea swooped in for both the Hazard’s. While Eden was in the first team plans the 19-year-old Thorgan was put out on loan and is yet to make a first team Chelsea appearance. Although he is seen as an important future first team player. Since Thorgan’s transfer to London he has been out on loan to Zulte Waragem, playing week in and week out has helped him build his sharpness and has an impressive 15 goals in 66 appearances. If Thorgan had not gone out on loan he would most likely be playing in the reserves for Chelsea, so it is better that he gains more first team experiences in the Belgium First Division. If you watch Youtube videos of Thorgan you will see that he has incredible acceleration and a clear eye for goal. He perhaps doesn’t have the passing ability that his brother has but for what he lacks in that department he certainly makes up for it with the ball at his feet. @OnkelDal- Borussia Dortmund are trying to sign Thorgan Hazard on loan next season. @AlyssaChels- Hope Thorgan stays in England and joins Hull on loan would be great. 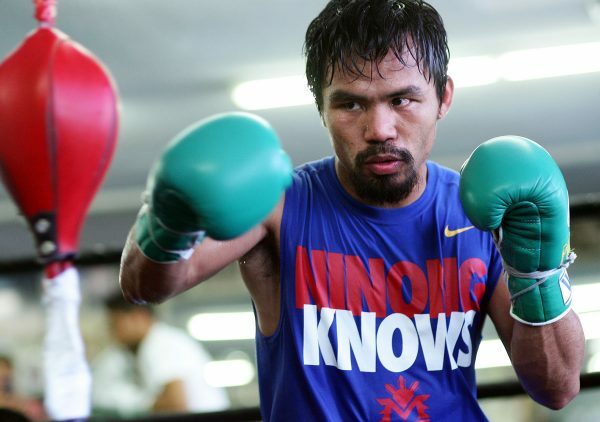 Is a Manny Pacquiao Return on the Cards?